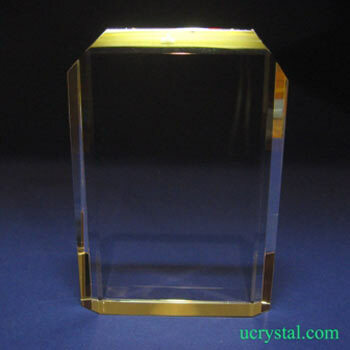 Rectangular, beveled edge, corner-cut custom engraved photo crystal gifts. 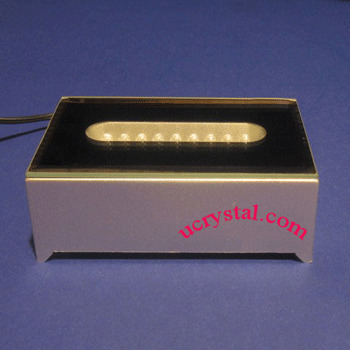 This laser photo crystal is rectangular in shape and was finely polished with beveled edges. The top corners were cut to add extra style. This personalized photo crystal is a unique gift that preserves memorable moments. It is a great custom photo crystal engraved gift for Christmas, birthdays, wedding anniversaries, and Valentine’s Day. The displayed example on the left is a celebration of her 50th Birthday through an engraving of her photo as a child. The little girl’s childhood moment holds great meaning when she turns 50. 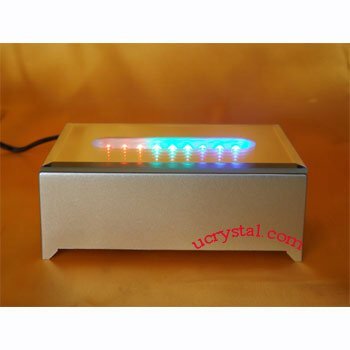 For other choices of 2D or 3D laser crystals for personalized engraving, please browse other pages of our website. 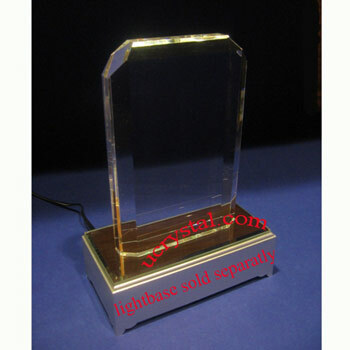 You will also see a selection of LED light bases for your personalized 2D or 3D photo crystal gifts needs. Rectangular, bevel edge, corner-cut without base.